Is this the last low-gravity field? While some Fortnite fans have grown tired of the giant purple cube’s pattern of creating gravitational fields and runes, it doesn’t care what any of us think. It’s doing its own thing. The cube has now created a low-gravity field near Pleasant Park, marking the seventh time it has done this since Aug. 28. On Aug. 28, the cube stopped moving and created the first gravitational field near Fatal Fields. 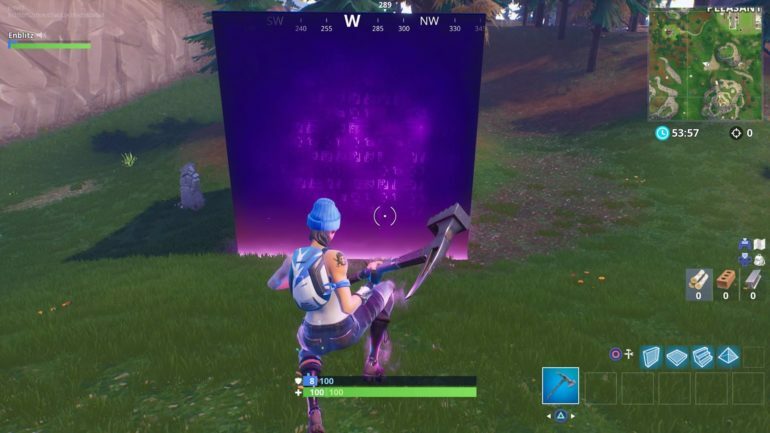 The next day, the first rune appeared in the ground where the cube was resting. Since then, other gravitational fields have emerged near Greasy Grove, Salty Springs, Retail Row, and Wailing Woods. And each time, the second, third, fourth, and fifth runes spawned at these respective locations the following day. If the pattern continues like it has over the past few weeks, the seventh rune should appear at the same location as today’s low-gravity field. But the Reddit post that correctly predicted the rune spots doesn’t foresee any additional runes emerging after tomorrow. After the seventh rune, it’s anyone guess what will happen. Players have been trying to figure out how the cube will play into the end of season five, but there’s no concrete information at this time.